A beautifully illustrated treat that combines a book and a game. Introduce pre-schoolers to colours through this interactive board book with game. 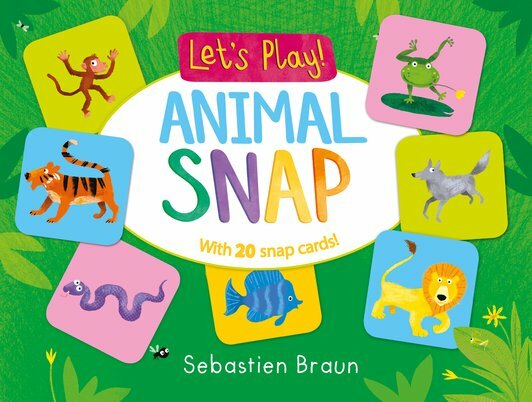 Toddlers will love following the simple text, pressing out the cards and learning to play snap and pairs with the chunky, easy-to-grip playing cards embedded inside each spread. With text and activities printed underneath the cards, the book can be read with or without the cards in place.